Zim vs. Pedro. A-Rod vs. Varitek. Munson vs. Fisk. 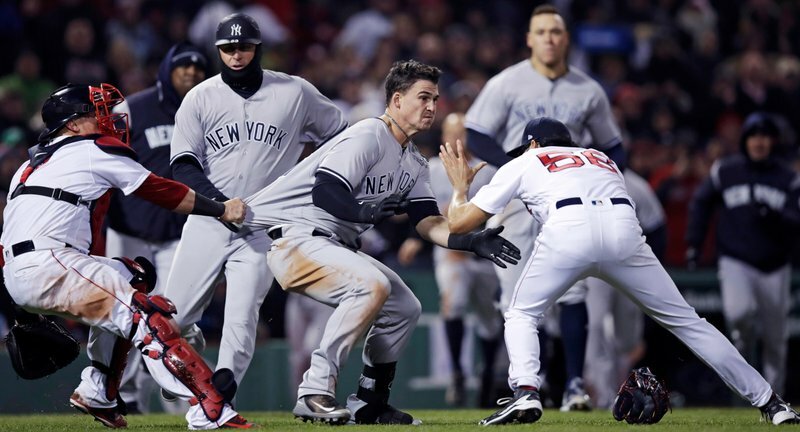 And now, Tyler Austin tangling with Joe Kelly. In a matchup between clubs that have long clashed, Austin rushed the mound after being hit by a pitch from the Red Sox reliever, triggering a bench-clearing brawl Wednesday night as New York ended Boston’s nine-game winning streak with a 10-7 victory.